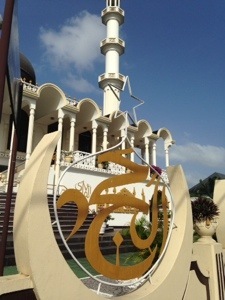 If I’m coming back to Guyana then I definitely have to pop back to Suriname as well. Again there was so much to see, much of which was expensive, and we hadn’t given ourselves enough time, worried about going over budget. It was nearly €200 for an overnight trip to see the turtles nesting on the beach, we knew we wouldn’t be doing that! We had settled on exploring the capital, Paramaribo and heading to Brownsberg National Park, weirdly shortened to BNP in literature. Maybe more time to relax in the national park, with an option to also spend a night at the reservoir, would have been preferable in hindsight. We met a couple of Dutch guys on our way to BNP (taking pity on us with their spare seats) who went to the reservoir for two nights afterwards and would have taken us too, but we couldn’t have predicted that. Suriname is a former Dutch colony. That means that they speak Dutch, ride bikes, and there are lots of canals. Not to stereotype but it’s true! 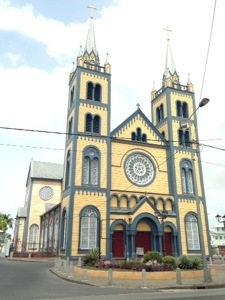 Paramaribo, or Parbo, is a very quaint town. 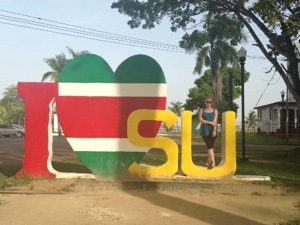 It’s hard to imagine that it is the largest, if not only, city in Suriname. The guidebook describes it as a mixture of Amsterdam and the Wild West. There’s hardly any traffic, you can walk (or cycle) everywhere you want to see and the buildings are all wooden. The city centre is actually a UNESCO protected area, which probably explains the lack of modern high rises. – and a raisiny pastry thing. A nutritious breakfast if ever there was one. 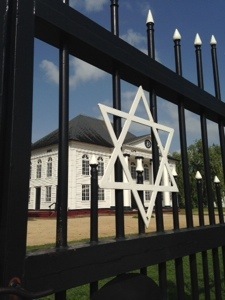 One day was easily enough to explore by foot, seeing the fort, the presidential building, the market, and the curious acceptance of a mosque and synagogue side by side. Another tribute to the multicultural nature of the guyanan states. On a recommendation from our hotel (Un Pied a Terre – €25 for a twin room) we had a great Indonesian meal a taxi ride out of town. I’d have liked another day here on our return from the national park, maybe to rent bikes and explore the old sugar plantations, but our flight in Brazil was booked, and we had to move on.